"Amazing product for it's price, got it on sale, I did have a frustrating 2 hours trying to sort out the microphone not being detected on my computer only to find out the USB to Mini USB cable was not..."
"Simple to use. 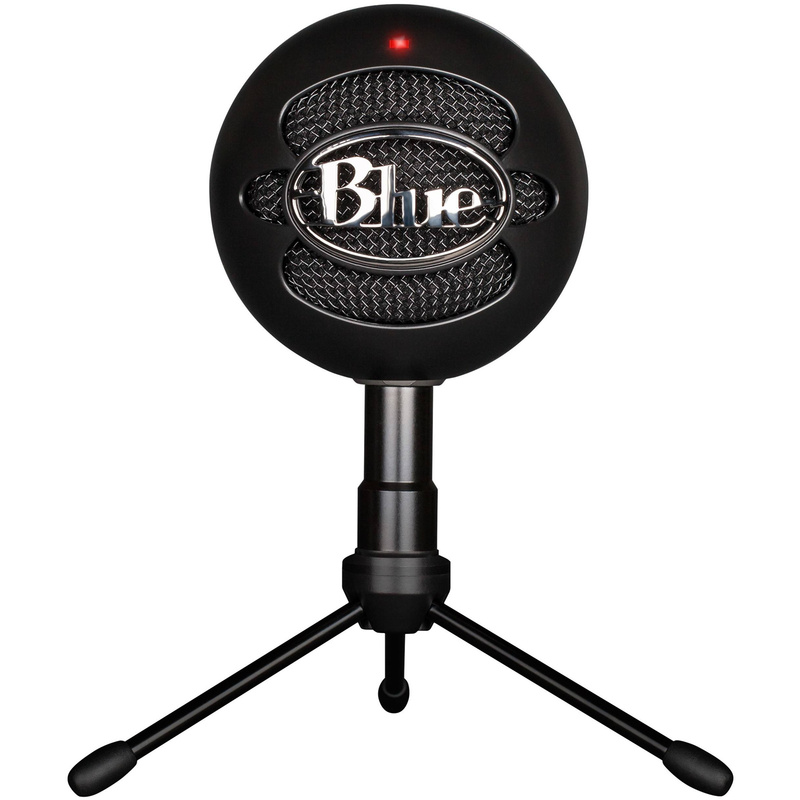 Plug and play, the price is well worth the quality"
Snowball iCE is the fastest, easiest way to get high-quality sound for recording and streaming. 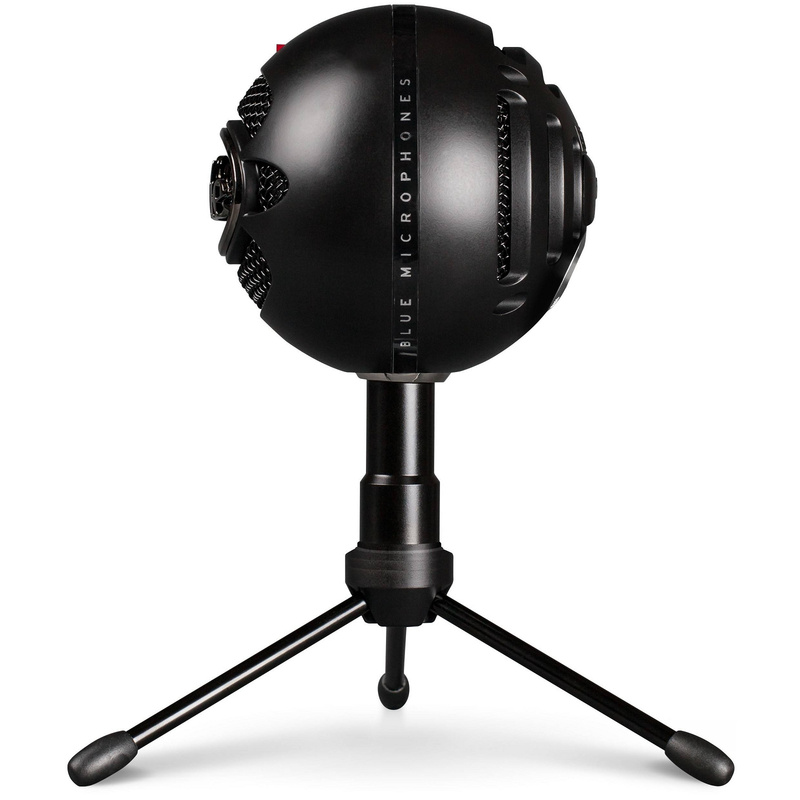 Powered by a custom cardioid condenser capsule, Snowball iCE delivers crystal-clear audio quality that's light-years ahead of your built-in computer microphone. It's even Skype certified, which guarantees great-sounding results no matter how or where you use it-at home or the office. Capturing audio from a built-in computer microphone is like walking on thin ice-it may work for a while, but you'll ultimately be left out in the cold. Enter Snowball iCE-the fast, easy and reliable way to get great-sounding audio for all your projects. Snowball iCE has a custom condenser capsule that delivers crystal-clear audio quality that no computer microphone can match. 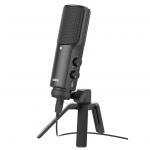 And with its cardioid polar pattern, it's one of the most versatile USB microphones around. Snowball iCE is Skype certified for guaranteed performance. So whether you're conducting a virtual interview via Skype, streaming live gameplay on Twitch, or nurturing a relationship across the globe, you'll be heard loud and clear with Snowball iCE. A good computer microphone is the key to quality results. So start your next project equipped with the ease and versatility that only a Snowball can provide. Add CD-quality audio to recordings for YouTube, SoundCloud and more. Improve audio quality on Skype, Twitch, FaceTime, or any other voice software. Create podcasts and add narration to home movies. You can even record instruments, vocals and entire bands with stunning quality. Snowball iCE is all about making it easier for you to complete the projects you love. That's why it's designed to work with any software on any computer-just plug in and begin. You don't even need any drivers. Don't let your creativity cool off-get started quickly and easily with Snowball iCE and bring your projects to life. 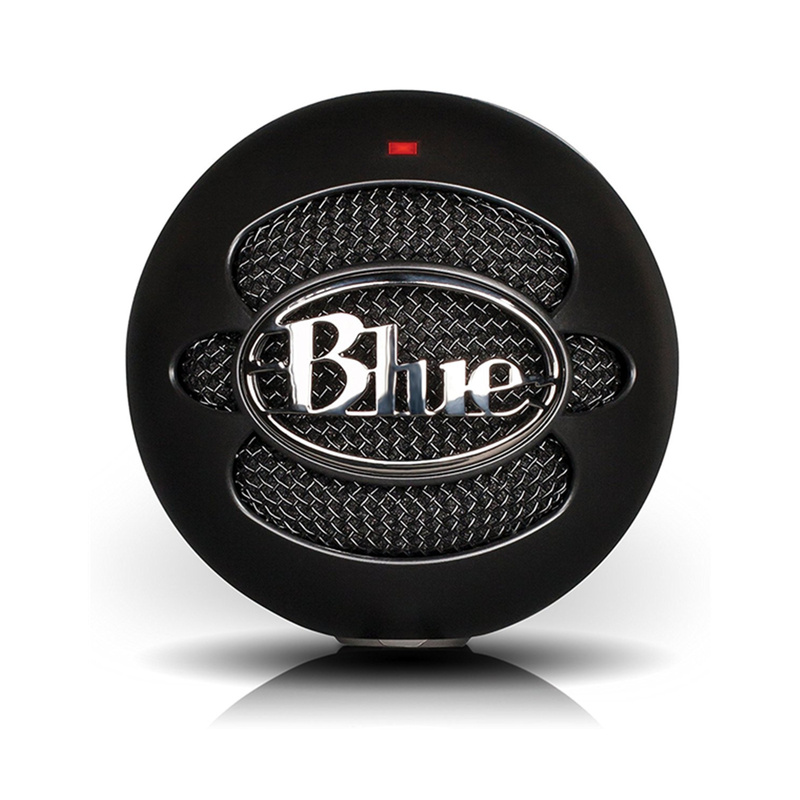 With Snowball iCE, quick and easy recording is finally a reality. Simply mount Snowball iCE on the included adjustable stand, plug the USB cable into your Mac or PC and that's it. You're ready to sit back and start recording crystal-clear audio for any project. Can I plug my headphones into this ? View MoreThe best thing about this microphone is its ease of use. It really is a matter of unbox it, screw part A to part B, and plug it in. Everything else just happens. The next best thing is the quality. It is a very sensitive microphone - one doesn't have to eat the blessed thing to get it to hear one loud and clear. My only gripe is that the stand it comes with is not very adjustable, but hey, I can go for the expensive remedy and buy another stand - it has a standard mounting arrangement - or go for the cheap option and grab a couple of books out of my bookshelf to prop it up on. Oh, and the red light that shows that there's power on to it stays lit even when the computer is turned off, and it glows like some malevolent cyclops in the night, but again, that's not exactly the end of the world. If you're looking for a quality microphone look no further, this is the one. Amazing product for it's price, got it on sale, I did have a frustrating 2 hours trying to sort out the microphone not being detected on my computer only to find out the USB to Mini USB cable was not working and just had to buy a new one. Just buy a USB to Mini USB cable and you should be set!Amazing product for it's price, got it on sale, I did have a frustrating 2 hours trying to sort out the microphone not being detected on my computer only to find out the USB to Mini USB cable was not working and just had to buy a new one. Just buy a USB to Mini USB cable and you should be set! Surprised by the quality of this mic considering the low price point. Extremely easy to set up and use, no software required other than standard windows drivers. Wouldn't mind a mute button but for the price I'm not complainingSurprised by the quality of this mic considering the low price point. The microphone is good but needs a mute button and an adjustable stand. 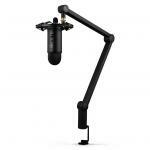 Easy to set up too.The microphone is good but needs a mute button and an adjustable stand. Easy to set up too. At first, I wasn't sure what I was getting myself into. 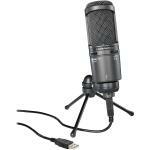 I needed a mic that would be good for live streaming and podcasting or recording voice overs or vocals for music. This pretty much delivered and meet my expectations. The boys always crack up when I jump on line with my deep, velvety voice! haha!At first, I wasn't sure what I was getting myself into. I needed a mic that would be good for live streaming and podcasting or recording voice overs or vocals for music. This pretty much delivered and meet my expectations. The boys always crack up when I jump on line with my deep, velvety voice! haha! Brought this item to increase sensitivity of audio pick up so that I could turn pick up down to reduce background noise (family environment). It has provided some reprieve.Brought this item to increase sensitivity of audio pick up so that I could turn pick up down to reduce background noise (family environment). It has provided some reprieve. 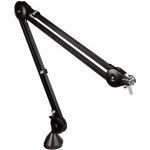 MICBLU4130 BLUE Compass Boom Arm Premium Tube-Style Broadcast - Black. PB Tech price: PB Tech price: $100.00 ex. $115.00 inc.